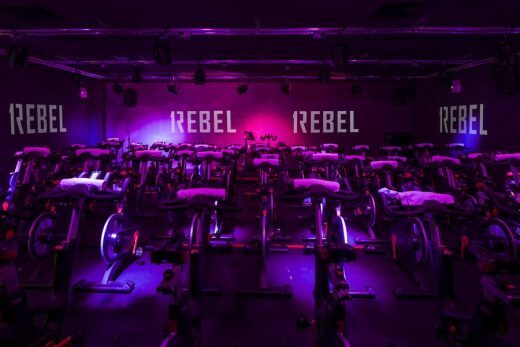 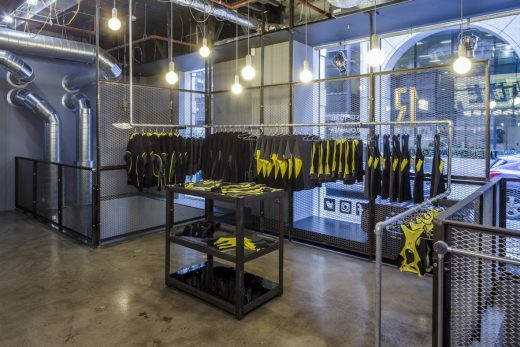 Architects Studio C102 have completed the fit-out of the first 8,000sqft 1Rebel, a new luxury boutique brand of gyms located in St Mary’s Axe, London. 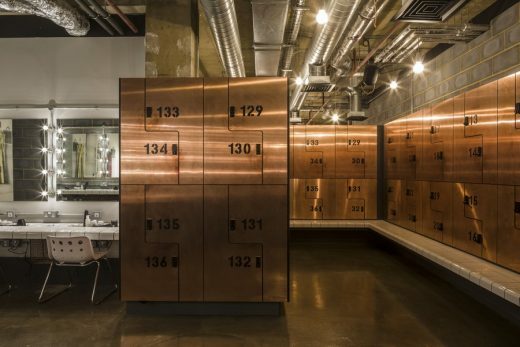 Originally conceived as an office, the building has been stripped down and reconfigured into a contemporary, industrial space which is balanced in luxury and theatrical glamour. 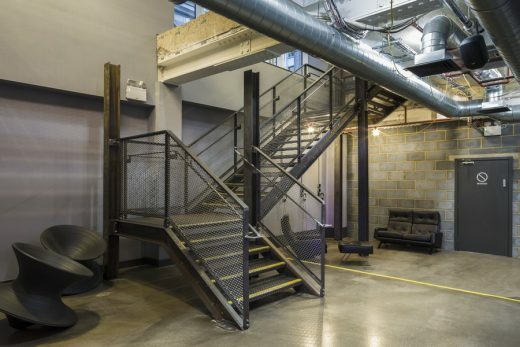 Spread across two floors Studio C102 began by exposing the architectural elements of the building to reveal the concrete ceiling, ductwork and pipes. 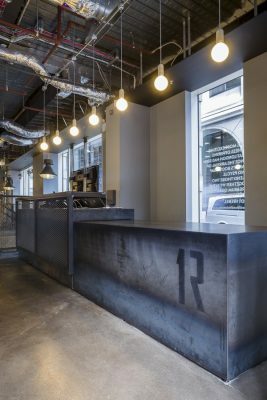 This unfinished look sits alongside reclaimed industrial light fittings from a communist-era Polish ceramics factory and a 1960’s German cargo ship, and is mixed with unembellished raw materials such as unsealed steel which over time will gain a rusty patina. 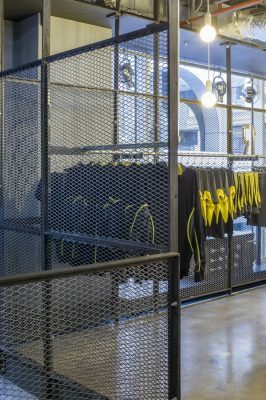 The shop front entrance to the gym stands at street level and leads you to the reception area and retail zone, where luxury sportswear hangs from a bespoke Kee-Klamp clothes rail which snakes its way from the ceiling to the floor. 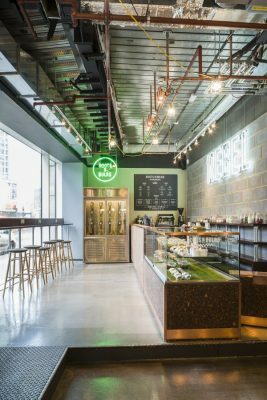 A Roots & Bulbs juice bar, designed by k-studio is situated at the entrance and provides welcome refreshments for the gyms’ guests. 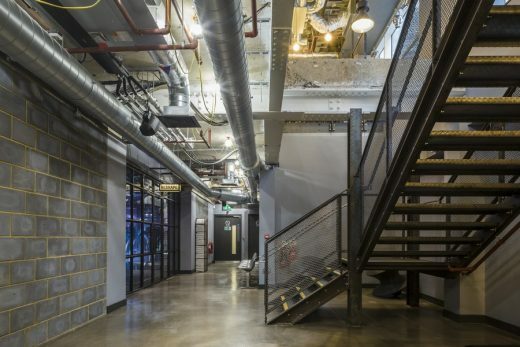 The floors’ uneven and velvety texture has been created by pouring the concrete on different days, and is in keeping with the studio’s design ethos of ‘using modest materials in novel ways’. 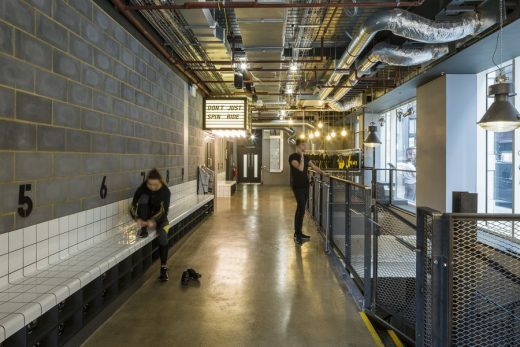 In contrast a long bench made from white handcrafted tiles runs along the left hand side of the room and provides discreet storage for cycling shoes which are provided by the gym for their ‘Ride’ classes. 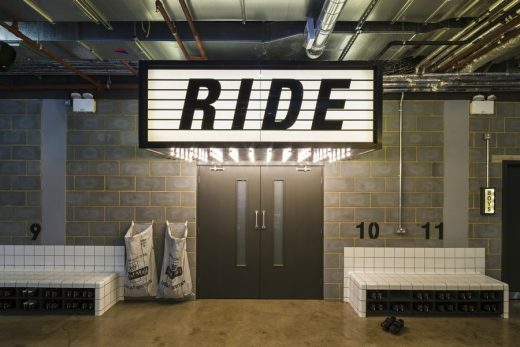 Cinematic signs illuminate the entrance to the ‘Ride’ and ‘Reshape’ studios on the ground floor and basement. 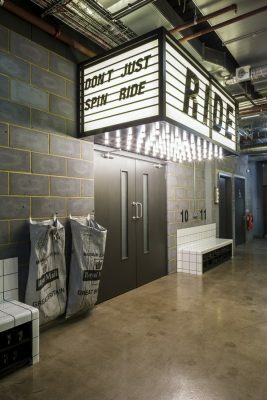 Sprayed stencilled signage has been used throughout the building, in keeping with the understated theme while contrasting with the glamorous, vintage twists. 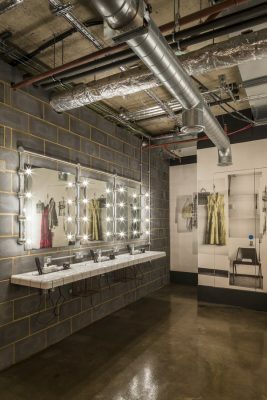 To continue the theatrical theme, both studio spaces have been designed as black boxes, entirely covered in black timber fibre acoustic insulation panels and recycled black rubber floors. 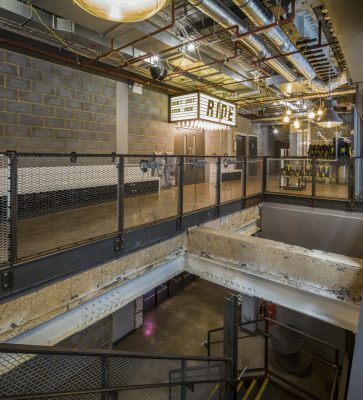 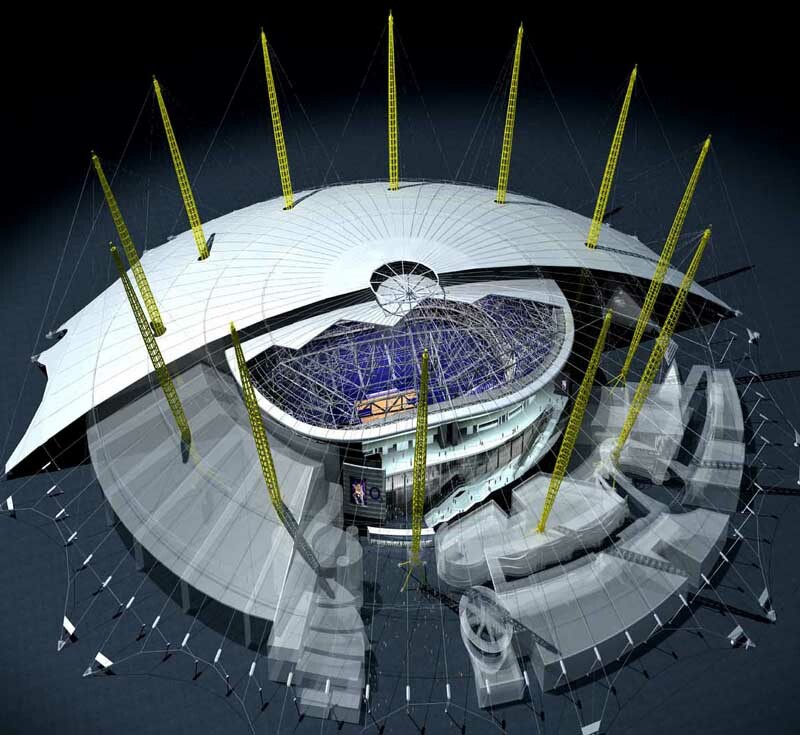 To mimic the layout of a theatre, a raised podium has been added in the ‘Ride’ studio, while the exercise bikes sit on three different levels facing the podium. 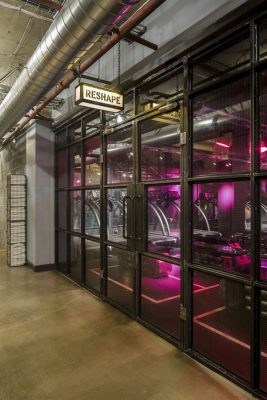 Projections hit the walls to create the experience of a night out, as workouts are accompanied by music, sometimes from a live band that joins the fitness instructor on the podium. The ‘Reshape’ studio in the basement features Georgian wired mirrors with steel frames and 1Rebel bespoke benches which contain weights, eliminating the need to pause during workout sessions. 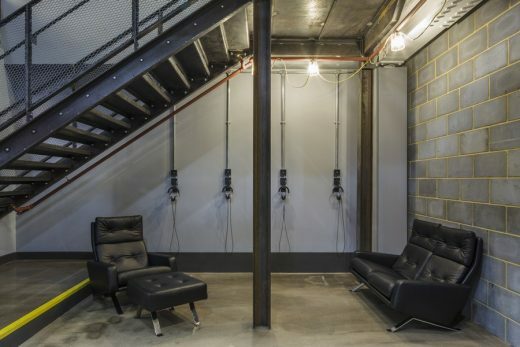 Outside the studio Robin Day seating and Heatherwick ‘spun’ chairs provide a place to sit while listening to 1Rebel music playlist through built in headphones hanging from the walls. 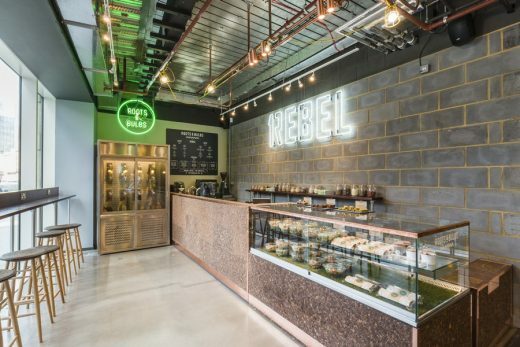 Giles Dean, Co-Founder of 1Rebel commented “Our brief to Studio C102 was to create a pared back industrial environment that focussed on, and put our product and our customer’s experience first. 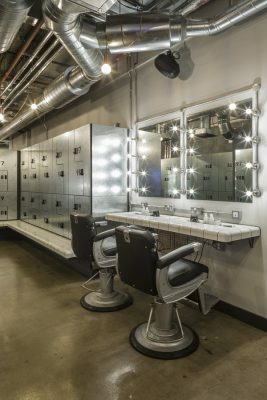 With the cinematic canopy announcing the entertainment offered in our Ride studio, and changing rooms seamlessly blending into our industrial luxe design language we believe that brief has been successfully fulfilled”. 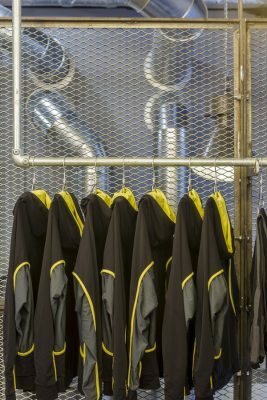 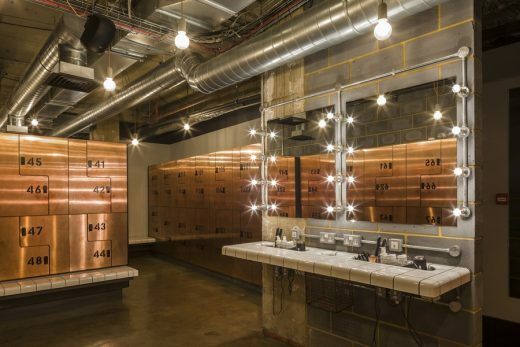 Consistent with the gym’s cool, edgy and urban style, Studio C102 have continued the pared back industrial luxe design into the spacious changing rooms which contain heated handmade tiled benches and SMEG fridges with chilled towels for post workout. 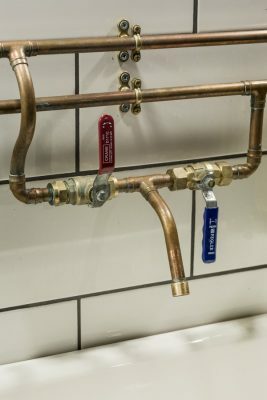 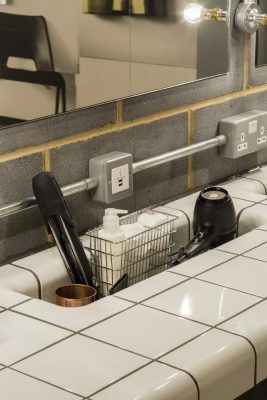 In the men’s changing room Hollywood style vanity mirrors are paired with 1950s barbers chairs and a concrete lift shaft has been exposed, creating a juxtaposition between authenticity and design elements such as the galvanised steel finished lockers and LED filament bulbs in copper holders. 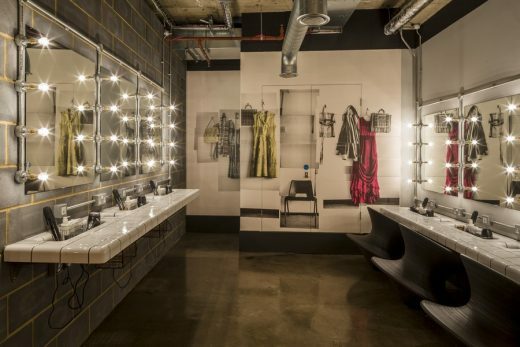 The female changing rooms are softer with bespoke Deborah Bowness wallpaper and modern copper panelled lockers. 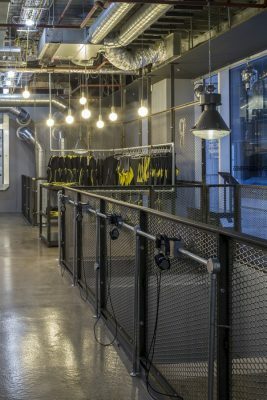 Here, the LED filament bulbs hang from the ceiling in concrete holders in keeping with the concrete floors which were left exposed before being sealed to give them a unique surface patina. 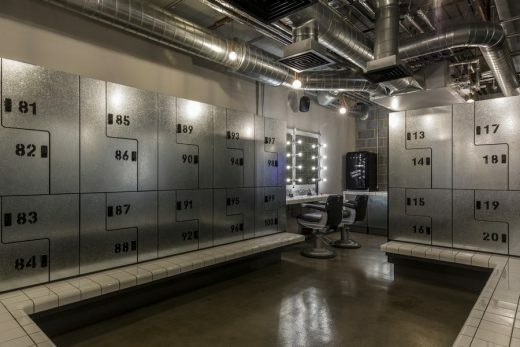 Rain shower cubicles are formed from suspended panes of glass and contain powerful rain shower heads and fire hoses. 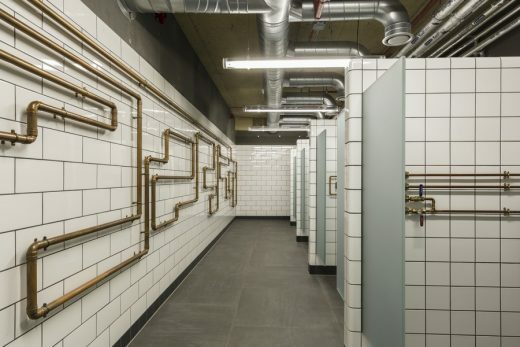 Opposite the cubicles exposed copper pipes are used to heat the towels. 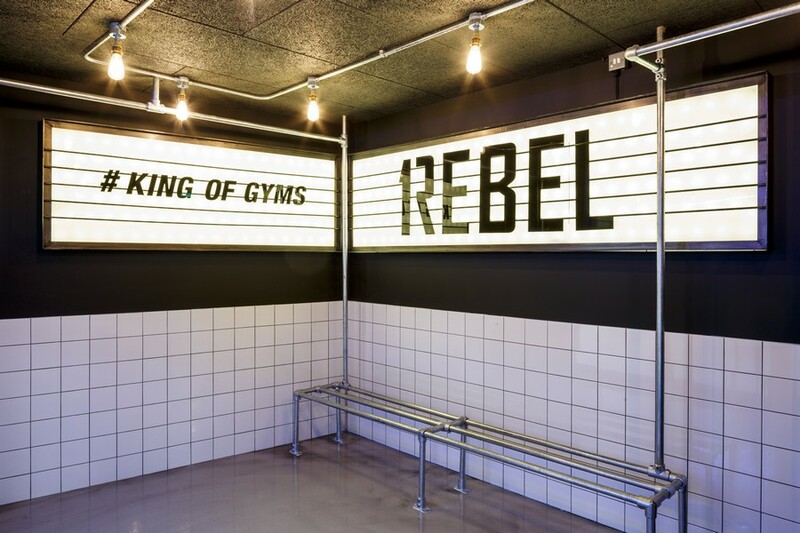 Kyriakos Katsaros, Founder of Studio C102 said “Our brief was to design a gym where each class felt like a night out – an event in its own right rather than a means to an end. 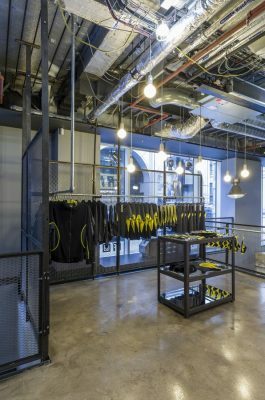 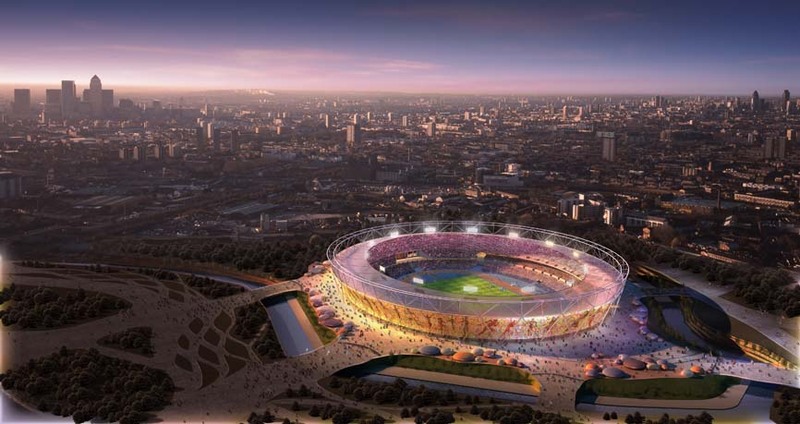 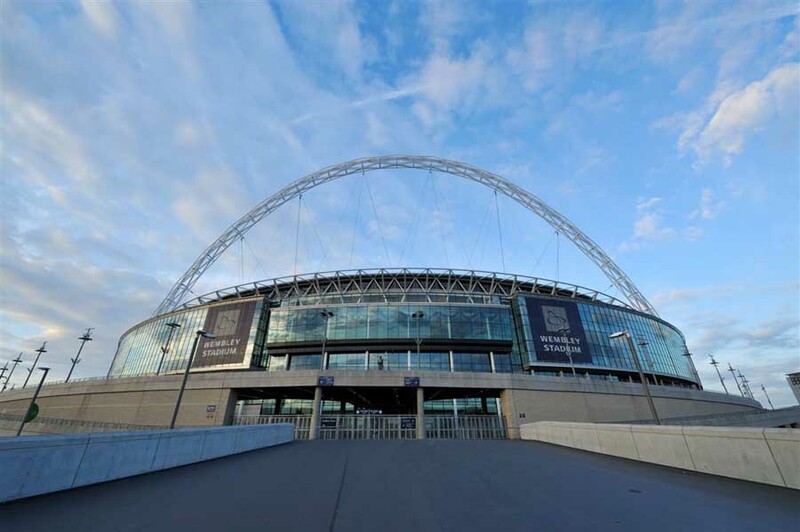 We began by creating a design language drawing on inspiration from contemporary art and cutting-edge retail design, rather than the fitness sector.